Removes everyday industrial soiling such as oil, grease and general dirt & grime. To suit S Box dispensers. 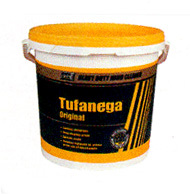 Tufanega original hand cleaner. The most popular item from the Deb range shocked, which includes a variety of 'tub' and dispenser cleaning products. A standard duty hand wipe that can be used in and around the workshop or on site to quickly remove oil, grease and grime without water. Contains moisturisers. Tork Centrefeed systems combine a range of superior multi-task wipers with tough reliable dispensers. 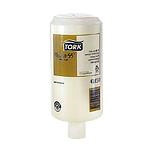 When it comes to choosing a centrefeed solution you can trust Tork. Paper tissues to suit all types of dispensers are available from our stock. Please contact us for more information. General purpose cleaner and degreaser. Various types and sizes are available such as Bassine & Cocoa, Stales also available to fit. A large selection of black refuse sacks are available.